Amazon chose Arlington County to establish a major new headquarters. 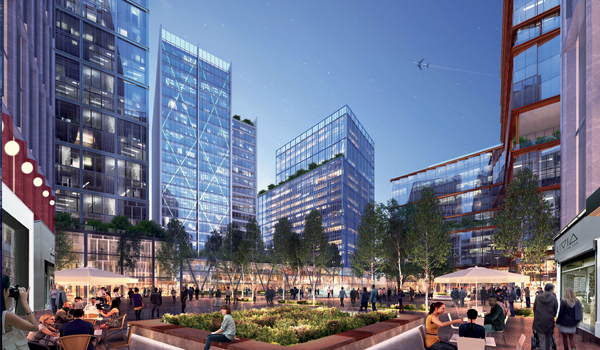 Amazon will locate in parts of Pentagon City and Crystal City in Arlington and Potomac Yard in Alexandria. The company will invest more than $2 billion to establish its new headquarters, which will create at least 25,000 high-wage jobs over the next 12 years. UPDATE: Read Amazon’s information on key topics for our community. Members of the media, visit the Media Resources page. On March 16, 2019, the Arlington County Board unanimously approved the performance incentive agreement with Amazon. Check back in the coming months for updates on projects associated with the new Amazon headquarters.